Here are some easy tips to improve QSR efficiency. Let’s start with an easy one. Take a look at all of your restaurants’ processes and procedures — from food storage to prep to serving to clean up. Pull them up on a computer, print out copies, and lay them in front of you. Now, look for common inefficiencies that might be slowing you down, like redundant procedures. Are your food prep employees going back and forth to get items out of the walk-in cooler, when there’s a smaller cooler closer to the prep line? It might be best to move those commonly used items to the nearby cooler during the day. Are your cashiers asking for loyalty card information after an order is already completed, forcing them to re-open the order to enter loyalty numbers? Train your staff to ask for loyalty info earlier in the ordering process. These seemingly small details can make a huge impact over time. Ok, that’s a big ask. Everyone would like to hire and retain quality employees. Efficiency is just another example of why it’s so important to do so. Employees who make fewer mistakes can save you much more time and money than employees who may work quickly at the cost of making more errors. The importance of retaining employees can’t be understated, either. Hiring is both time-consuming and expensive and throws a big wrench into your efficiency goals. While you can’t expect to retain 100% of your employees for all time, you can work harder to keep them happy and engaged. After all, engaged employees work smarter and tend to stick around longer. For more tips on retaining your best employees, check out our blog on reducing employee turnover. 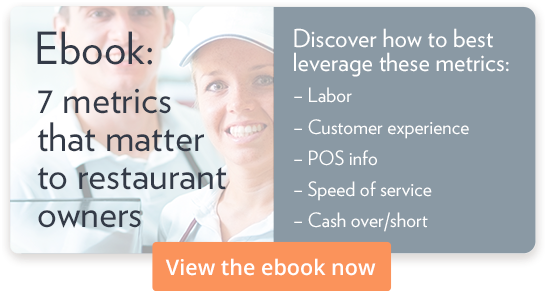 Technology can single-handedly make or break the efficiency of your restaurants. If your food prep employees are waiting 30 seconds for their screens to refresh, you’re paying them to stand around waiting for the next order to come up. If your cashiers need to tell your food prep employees the details of a special order because they weren’t able to enter the order into the register correctly, you’re losing time and money. Take a look at your restaurant technology. Is it expensive to upgrade one of your systems? Maybe. Is it more expensive than letting these little inefficiencies add up? Maybe not. In the 2000s, a certain large pizza chain introduced a new specialty pizza. This pizza used its own unique sauce in place of marinara sauce, its own unique cheese instead of mozzarella, and several unique, specialty toppings. The pizza chain promoted this new specialty pizza everywhere it could — TV commercials, physical mailers, you name it. What they hadn’t considered, however, is that this pizza took twice as long to prepare as a typical pizza. So, during dinner rush on a weekend or during a big game, stores were swamped with orders and employees weren’t able to keep up. I won’t name the pizza chain, but I suspect some of you have had similar experiences. If you have a complex menu item, don’t hesitate to promote it. After all, your restaurant is taking a risk with a new item, and you want it to pay off. But remember to think about the effect it will have on your restaurants. Consider the impact of your promos on the busiest time of the busiest day at your restaurants, and make sure your employees are set up for success. These are just a few areas to check for efficiencies in your day-to-day operations. You know your stores better than anyone, so use this list as a starting point, and then find more efficiencies that work for you. Don’t ever think that a tiny improvement isn’t worth the effort. Small efficiencies add up and can make the difference between a business that makes ends meet and one that thrives.